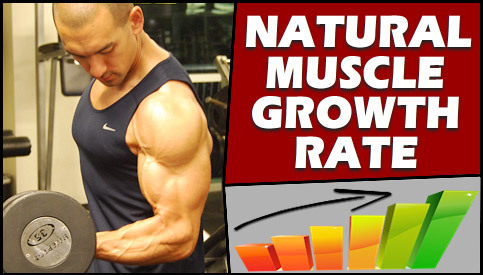 No Comments on HOW MUCH MUSCLE CAN YOU GAIN NATURALLY, AND HOW FAST? If you’re still relatively new to the muscle building game, this is a pretty natural question to ask. You’re training hard and eating right consistently from week to week, maybe even taking SARMS to speed the process up a bit and you want to know what you can realistically expect to achieve from your efforts over the long term. First off, it will ensure that you don’t get scammed out of your money by the endless number of bogus supplements, miracle programs and other over-hyped products out there promising you “pounds of rock-solid muscle” over completely unrealistic time frames. 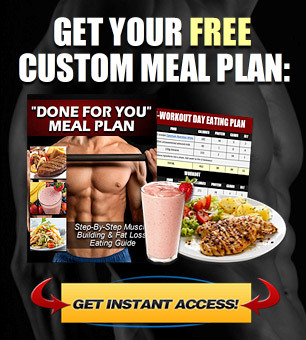 And secondly, it will help you set practical, achievable goals that keep you on track and prevent you from “program hopping” from one muscle building plan to the next because you were convinced that you should be making gains at a faster rate. So, how much muscle can you really gain, and in what time frame? How Much Muscle Can A Person Truly Gain? First off, it’s very important to understand that there is far from any single black and white answer to this question. The ultimate figure can range quite a bit from person to person, and it will depend heavily on many different factors such as genetics, age, body structure as well as the effectiveness and consistency of your program. For that reason, any answer you get to the question of “how much muscle can I gain” will always be a rough approximation and should be viewed as such. And what is a safe “rough approximation” when it comes to the ultimate muscle building potential of a natural trainee? For those ranging from slightly below average genetics to slightly above average genetics, 20-40 pounds of total lean muscle mass would be a realistic lifetime goal to expect. I recognize that this is a fairly wide range, but given all the factors involved this is about as precise as I can be. Those with average genetics would probably land somewhere in the middle at around 30 pounds of muscle, while those with slightly below and slightly above average genetics would land on the outer figures of about 20 and 40 pounds of muscle respectively. Females can take these numbers and reduce them by about half. This range will cover the vast majority of the lifting population, so there’s a very good chance that you’ll fall somewhere between those numbers if you’re reading this right now. That said, there will also be a small percentage of “genetic outliers” who will fall on the more extreme ends of the spectrum. 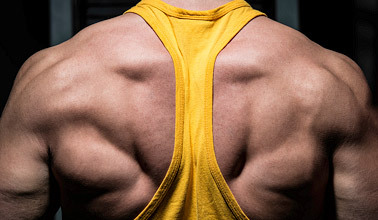 This includes those with particularly poor muscle building genetics who may only be able to gain 10 pounds of muscle or less regardless of how perfect their program is, as well as those with exceptionally good muscle building genetics who may be able to gain 50 pounds or more even on a sub-optimal plan. However, this will only make up a very small minority of the population and most typical lifters will fall somewhere within that 20-40 pound range. Also keep in mind that this figure is referring specifically to actual lean muscle mass as opposed to overall body weight. As you gain more and more muscle, you’ll also put on some additional body fat and water weight along with it, so your actual body weight itself can increase by more than what is outlined here depending on your goals and what type of look you’re aiming for. How Long Will It Take To Build That Muscle? 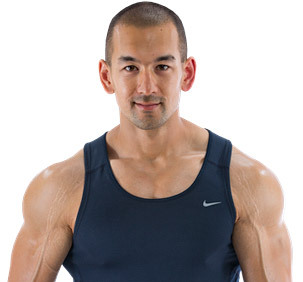 Just as no one can tell you for sure how much total lean muscle you’re ultimately capable of building, your actual rate of muscle growth is also going to come down to an educated guess as well. How long does it take to build muscle approximately? For most lifters, achieving roughly 50% of your ultimate muscle building potential in the first year would be a realistic expectation, with the rate of growth slowing down by about half for every year thereafter. Remember that muscle growth is not a linear process, and it will become increasingly harder to progress to higher levels as you gain more and more size. Your body has genetic limits in place to prevent you from gaining too much additional lean mass, since muscle is metabolically “expensive” tissue that requires a lot of resources to build and maintain. The bigger you get and the further you move away from your natural set point, the harder your body will press on the brakes to slow the process down. After 4-5 years of training and beyond you’d be right up near your natural limit, and although you’d still be able to make additional progress with continued training, the level of diminishing returns would be very steep. At that point it would likely require multiple years of hard training and proper nutrition just to gain a few pounds of additional muscle. 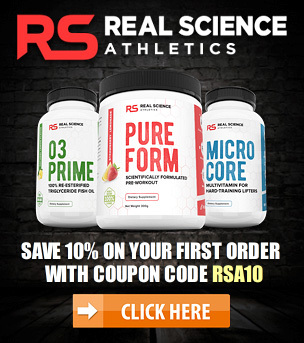 Regardless of what anyone tells you, individual genetic makeup does play a very significant role in the muscle building process just as it does in most other areas of life as well. Some people simply have a much harder or easier time building muscle than others, and this is influenced by different factors such as muscle fiber distribution, testosterone levels, growth hormone levels, bone structure, insulin sensitivity, myostatin levels and individual recovery ability. Anyone can build a significant amount of muscle given enough time as long as they aren’t an extreme genetic outlier, but your individual genetic makeup will heavily influence how much muscle you’re ultimately capable of building as a natural. This ties in with genetics as well, but also keep in mind that different amounts of muscle can appear dramatically different from an aesthetic perspective depending on an individual’s unique body structure. Height, limb length, muscle shape and muscle insertion points all play a huge role in determining exactly how your newly built muscle mass will actually look. For example, a lifter who is 5’5 with a smaller bone structure will still appear quite strong and muscular even if his lifetime muscle building potential is only 15-20 pounds. On the other hand, those same 15-20 pounds may not look overly impressive on someone who is 6’3 with longer limbs, and that lifter would need to gain more total muscle in order to achieve an equally muscular look. Those in their late teens and 20’s are naturally going to have the fastest muscle growth rate since testosterone levels will be in the optimal muscle building range during that time. Testosterone levels play a central role in the muscle building process, and if you’re still in your early teens or are in the 40-50+ age range then you can expect to progress at a slower pace. All of the figures outlined in this article obviously assume that you’re utilizing a properly structured training and nutrition program and are sticking to it consistently over the long term. If you’re following a sub-par program or are frequently going off-track with your workouts or diet, all of these numbers go straight out the window as your ultimate muscle building potential will of course be compromised. On top of the 4 factors listed above, the figures given also assume that you’re a natural trainee (steroids and other drugs dramatically alter how much muscle you can pack on) and that you’re starting from a normal healthy body weight (those recovering from an illness such as an eating disorder will be able to gain more total muscle mass from where they started). As I mentioned at the beginning, any answer you get to the question of “how much muscle can I gain” will always be an educated guess. There are simply too many different factors that come into play, and the figures will vary quite a bit from person to person. Not only that, but different amounts of muscle will appear differently on each individual based on their body structure. That said, 20-40 pounds of lean muscle built over the course of about 4-5 years is a realistic muscle growth rate for those ranging from slightly below to slightly above average genetics. When it all comes down to it though, this isn’t something I’d spend too much time getting hung up on. Although it does give you a realistic idea of what’s possible, you still have no way of knowing from the outset what your exact muscle building potential will be, nor how that muscle will actually appear on your frame once it’s built. Your best bet is to simply get yourself onto the best training and nutrition plan possible, execute it on a consistent basis, see what your individual genetics have in store for you, and adjust as you go along.